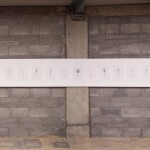 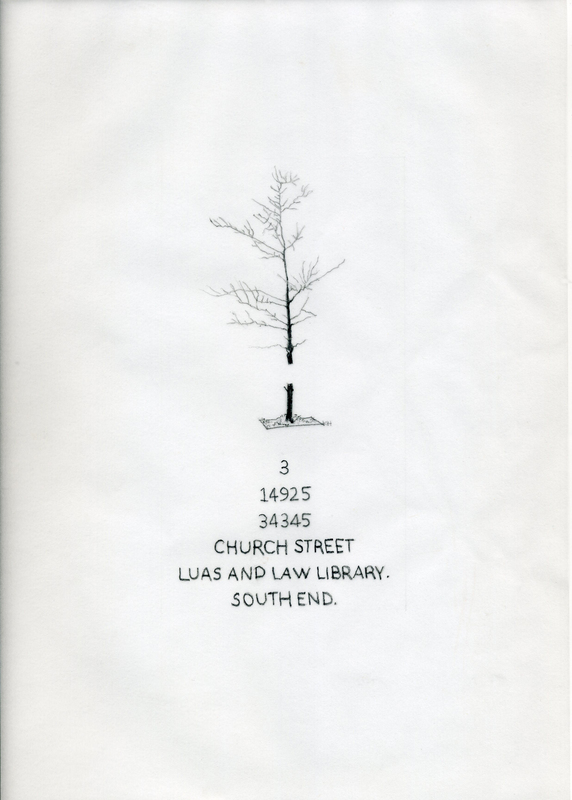 This Trail can be followed from the gate of NCAD to Smithfield and back. 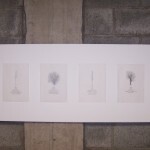 It was made for the end of year show, first year MFA studies. 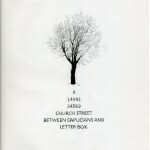 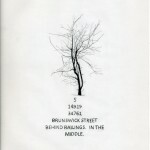 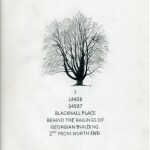 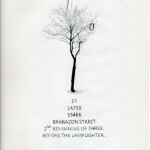 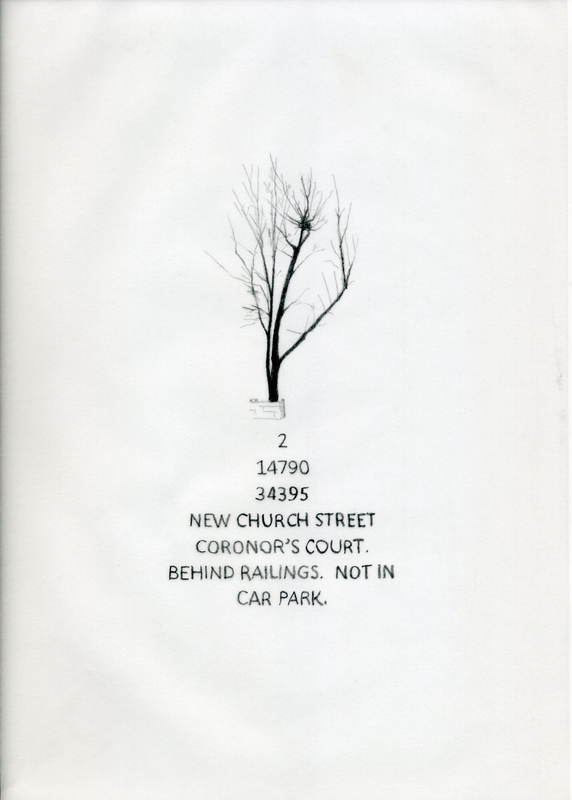 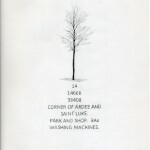 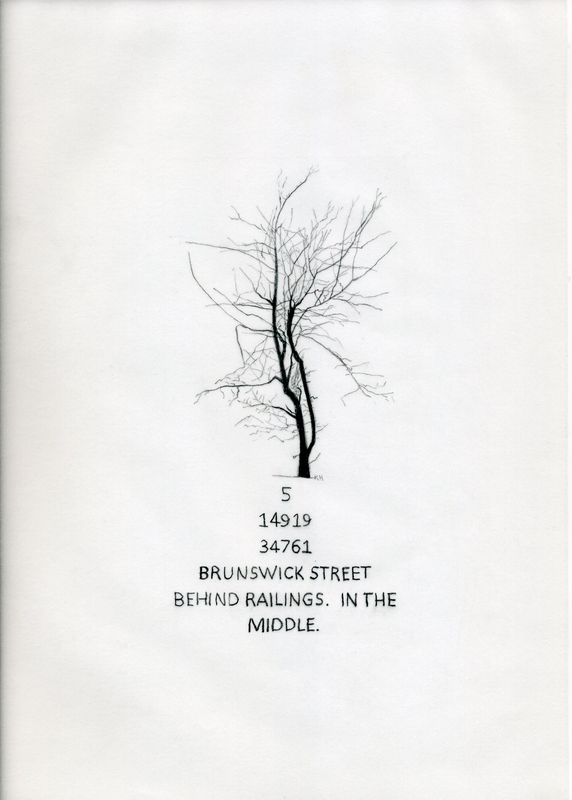 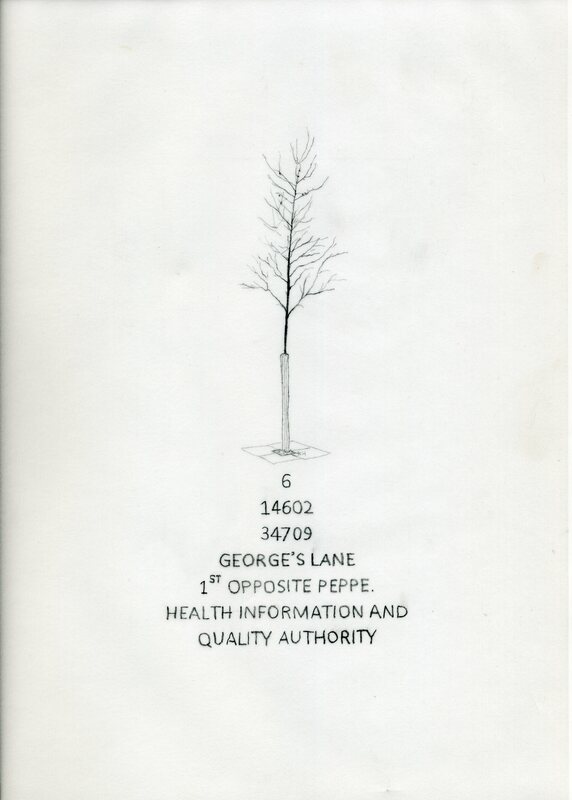 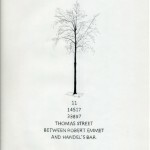 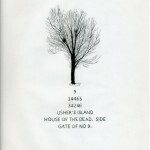 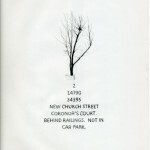 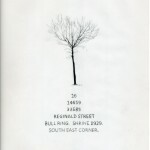 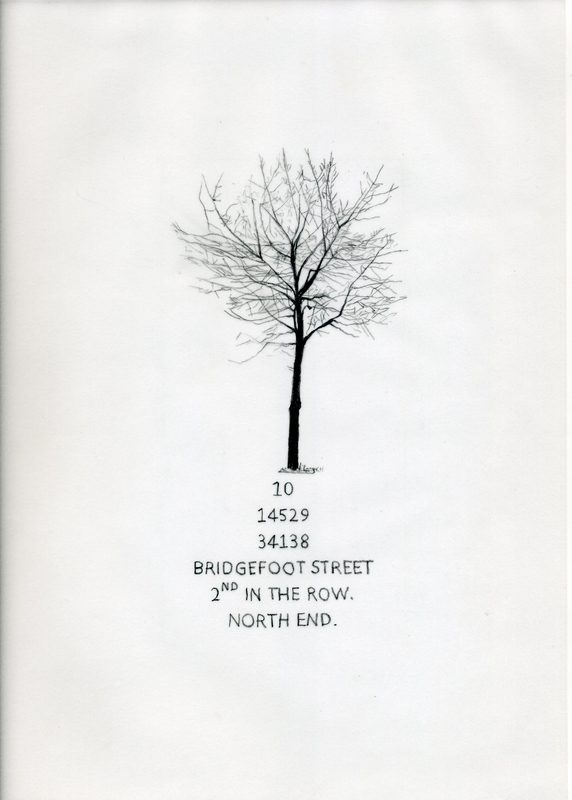 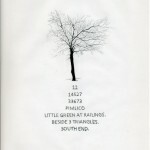 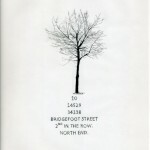 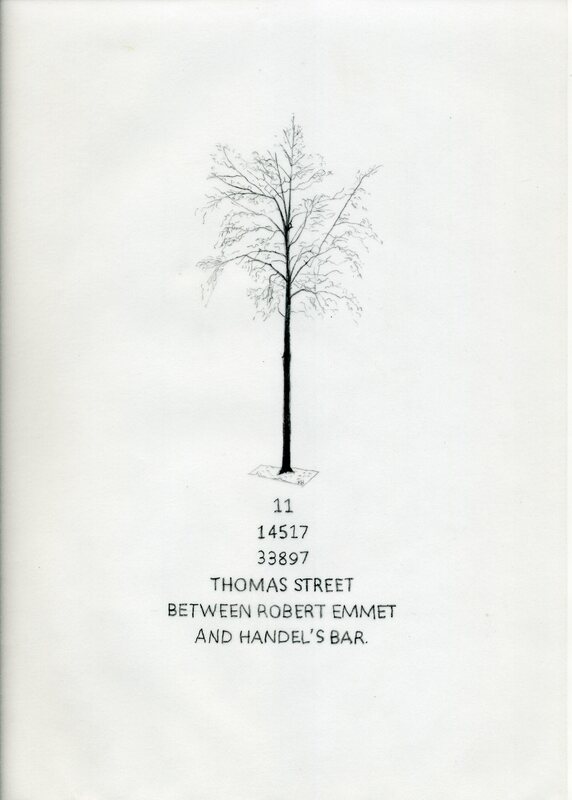 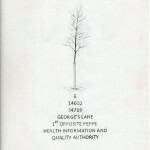 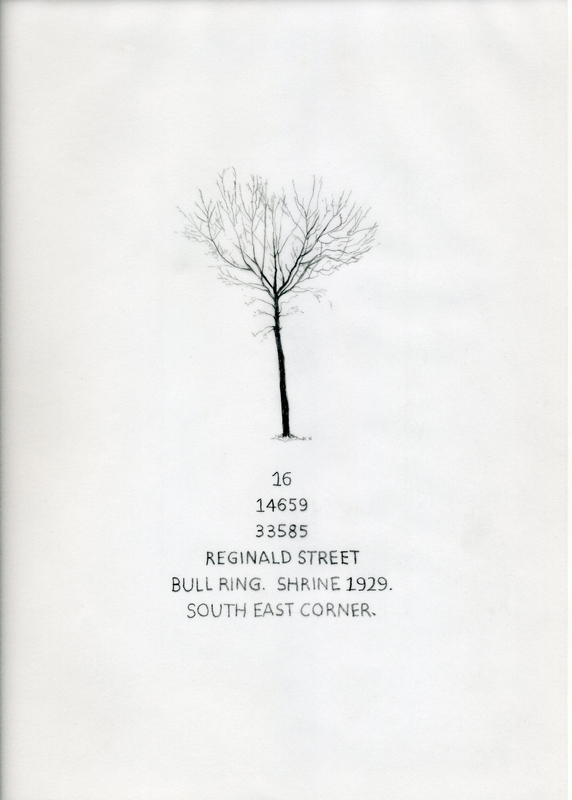 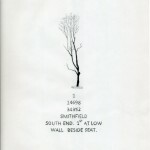 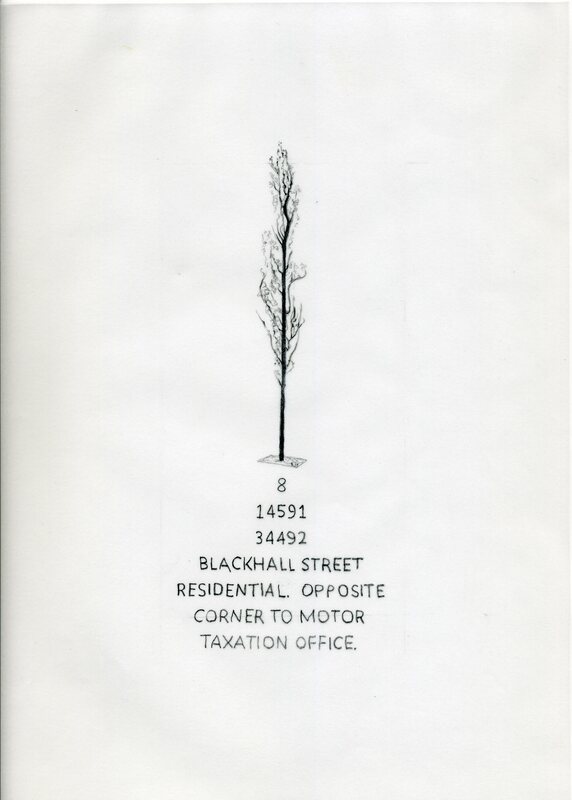 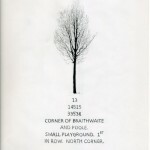 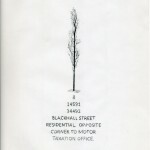 There are 16 drawings of trees which were located on the footpath or visible from it, drawn in winter, without leaves. 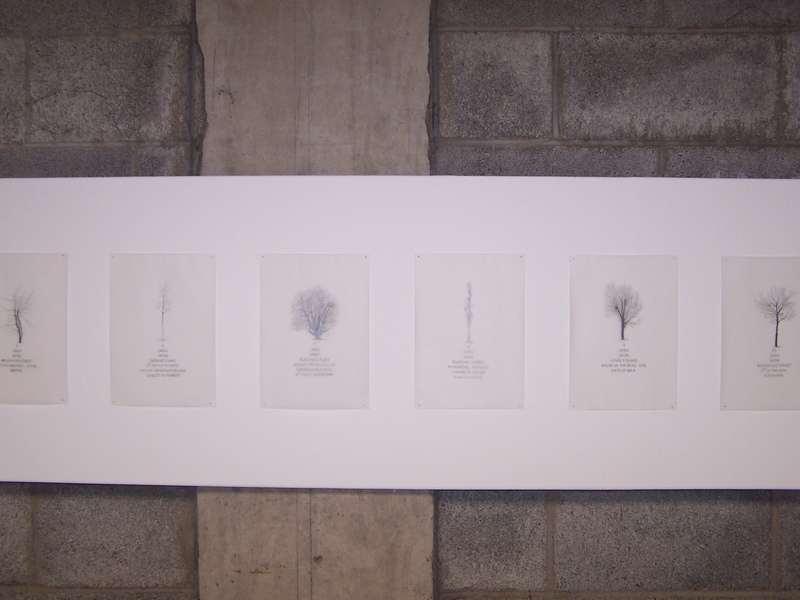 Each has its own distinctive shape and way of growing. 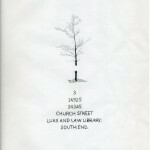 Many are mere saplings, planted in recent years, and subject to the wear and tear of life on the street: some are aged, mature, well cared for. 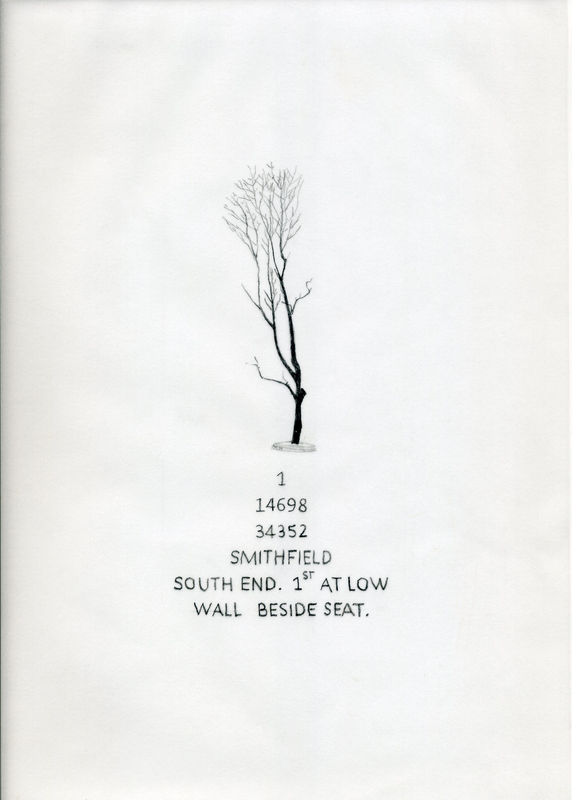 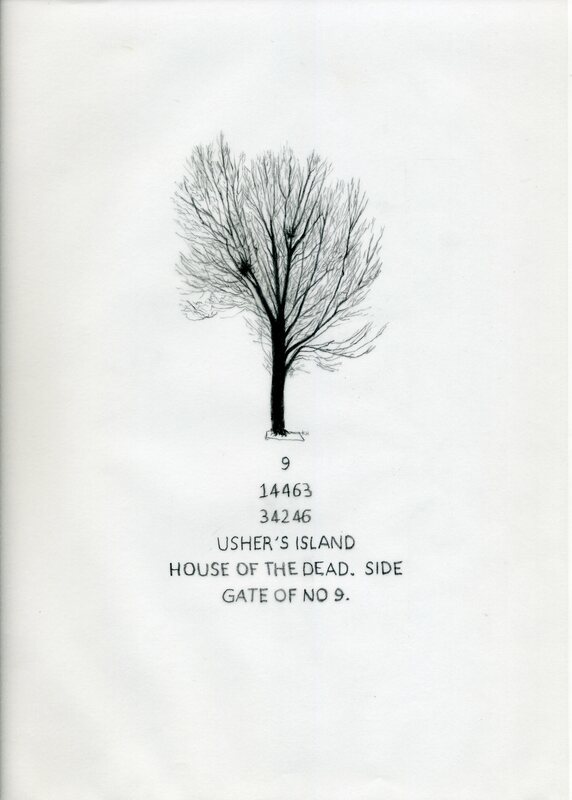 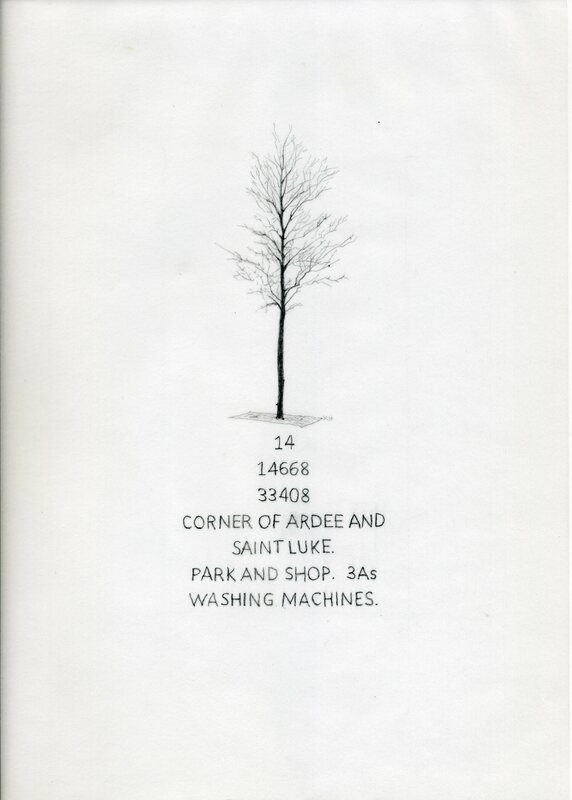 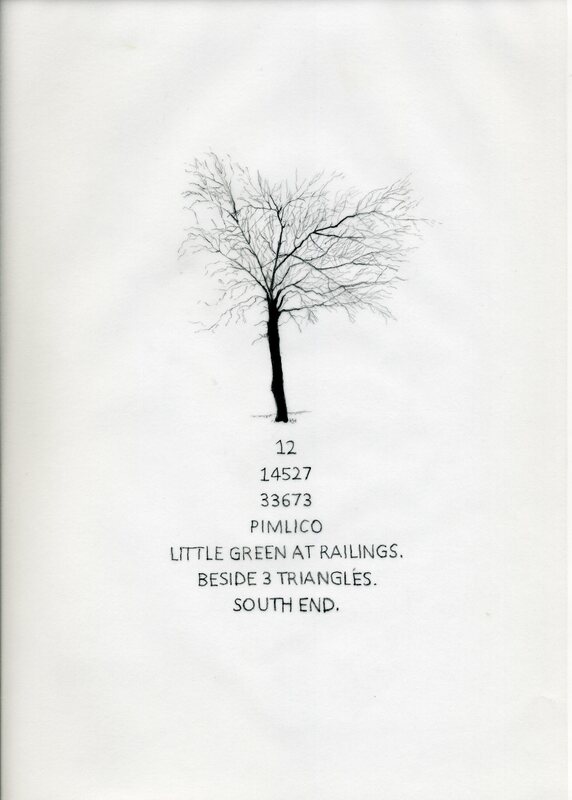 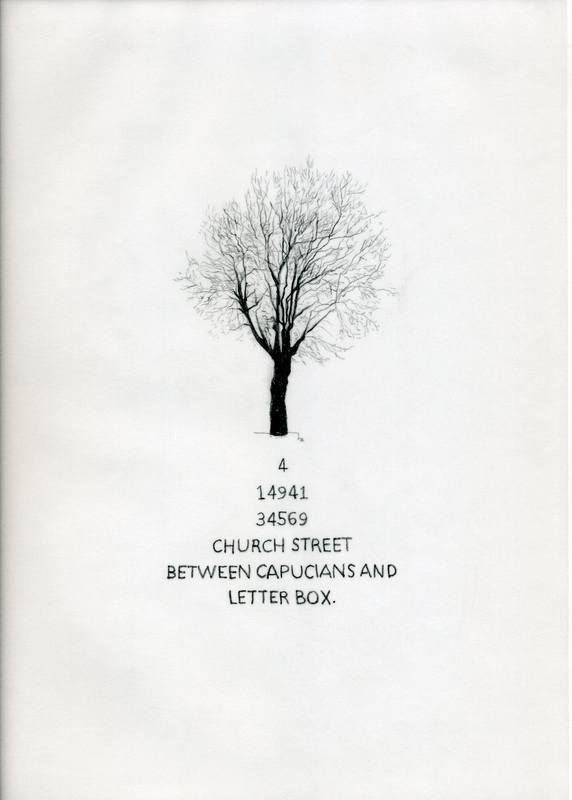 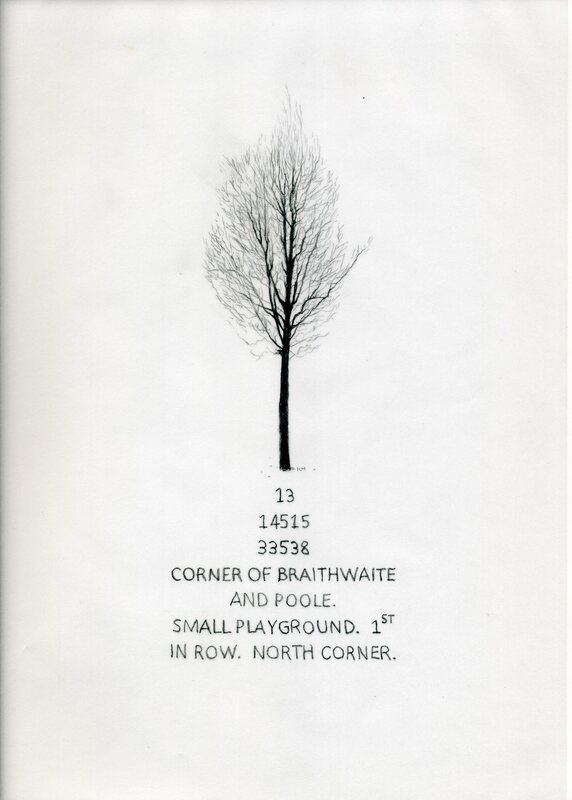 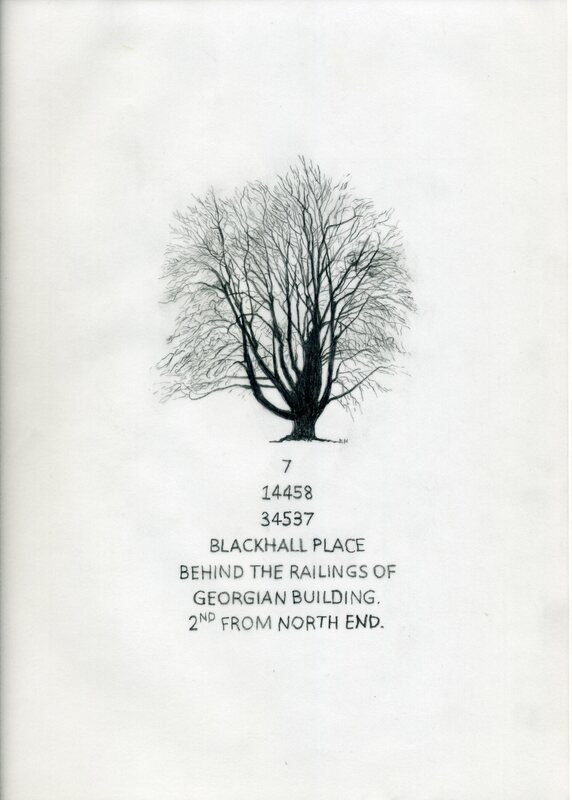 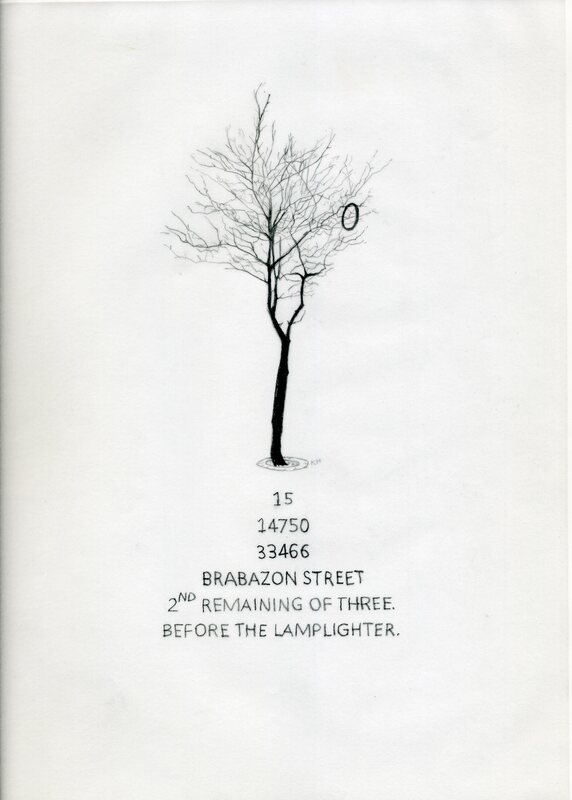 Each drawing carries GPS grid reference for the location of the tree, along with a clue in text form, describing the place where the tree is.